College has always been pricey, but these days tuition and other college-related expenses are rising much faster than general cost of living. That is why it's important to know how you will pay for college, what options are available to help you do so and how to develop a sound financial plan. Financial aid, sponsored by governmental, education and private organizations, is provided in order to help college students pay for education-related expenses such as tuition, room and board, books, supplies, and fees. While a lot of financial aid comes through government funding, government subsidies for public education are not considered financial aid. Financial aid is limited to financial awards provided to individual students. In the United States, both federal and state governments provide merit- and need-based financial aid for college students, in the form of low-interest loans, grants and work-study. 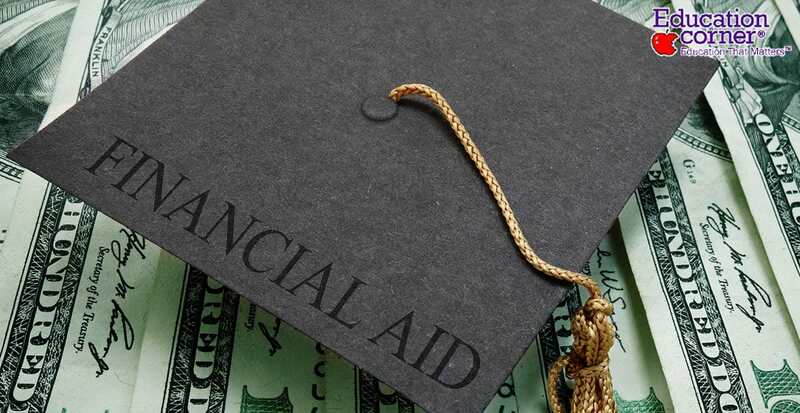 There are about nine federally sponsored financial aid programs, 605 state programs and as many as 7,000 higher education institutions that offer financial aid. The most popular federal programs include Stafford Loans, Pell Grants, Work-Study Program, Federal PLUS Loans, Perkins Loans and Federal Supplemental Educational Opportunity Grants. Federals Stafford Loans and Federal PLUS Loans are extended directly through the U.S. Department of Education (DoE). Federal Perkins Loans are also made by the U.S. DoE but issued through participating schools via annual appropriations from the DoE. While the majority of financial aid programs are sponsored by the federal government, state governments often offer some merit- and need-based options – usually in the form of grants, tuition waivers, scholarships, and work-study programs. In addition to federal and state government, most post-secondary institutions offer several forms of financial aid to students. Students requiring financial aid beyond that offered by the government or school they're attending may consider other alternatives, including private education loans that offered by most large banks and lending institutions. Of course, education loans obtained through private lenders typically have higher interest rates than federally funded education loans. In order to apply for financial aid, most institutions require students to submit the FAFSA form. Some institutions require the FAFSA along with a need-based analysis document – the most common being the CSS/Profile. What Kind of Financial Aid Programs Are There? Once you've selected a college, one of the first things you should do is contact their financial aid office. Before you select classes, before you find a place to live, you need to develop a financial plan for college. The financial aid office will provide information about what specific financial aid packages your school provides. The range of options can vary considerably from school to school and student to student. Make sure you understand what is offered and what you qualify for. The United States government offers several financial aid options, including student loans, grants and work-study programs. In order to qualify for any of these, you are required to fill out the Free Application for Federal Student Aid, commonly known as FAFSA. The application is due the January before you attend college. You can find it, along with plenty of information about federal aid, at www.fafsa.ed.gov. Scholarships and grants are the most desirable form of aid because they do not have to be paid back. They are essentially free money. Scholarships tend to be awarded for academic or athletic performance, while grants are most often based on financial need. Scholarships come from a variety of sources, but most commonly from colleges and many of their individual schools and departments. You can also apply for scholarships from the state and federal government, as well as the private sector, which can include businesses, special interest groups and private scholarship funds. When you contact the financial aid office, also ask about scholarships from outside groups, including businesses, private scholarship funds and social, ethnic and religious organizations. You may qualify for a scholarship based on any number of factors, including income level, military service, gender, race, age, religion and field of study. Grants are typically based on financial need. Undergraduate students can apply for the Federal Supplemental Educational Opportunity Grant and the Federal Pell Grant. Many states award need-based grants, as well grant funding for graduate research projects. Some students actually choose which college to attend based on the availability of scholarships and grants. One school may have a dozen such awards that you could apply for, while another may only have a few. There are a number of websites that allow you to focus your college search based on scholarship and grant criteria. Like scholarships and grants, fellowships do not need to be paid back. Fellowship money may come from the government or from private organizations. The money typically comes in the form of semesterly stipends, and may also cover the cost of tuition. In some cases, recipients of fellowships are chosen by the school's faculty. In other cases, students may apply and compete for fellowships, and money is awarded based on merit, faculty choice, and need. Graduate students who receive assistantships are paid to work as teacher assistants (TA), research assistants (RA), or some other on-campus job related to your major or department. Money for TAs comes directly from the school, while money for RAs come from federal or private grants. Assistantships vary in amount, based on government aid and faculty grants. In many ways, assistantships are similar to work-study programs in undergraduate school, and require the student to perform a job in exchange for money. TAs commonly teach introductory-level classes to undergraduate students, and RAs commonly help faculty do research in laboratories. The specifics of assistantships vary greatly by school, department, and program, so contact your school for more information. If you have served or are currently serving in the United States Armed Forces, you most likely qualify for financial assistance from the Department of Veterans Affairs. The VA also has programs for military families, including spouses and children of soldiers who have been killed or wounded in military service. Federal Work-Study (FWS) programs are funded by the federal government, but operated through individual colleges. FWS programs are only available to students who demonstrate a financial need and are enrolled at least half-time at a participating college or university. Currently there are over 3,000 educational institutions that receive FWS funds. Most schools that do not participate still operate student employment programs geared to help low-income students pay for college. In either of these programs, the job opportunities are typically limited to part-time, lower level positions on campus. These may include jobs like department clerk, parking attendant, cashier, cafeteria cook and campus/building maintenance. The United States government offer two different need-based loans: the Federal Perkins Loan and the Federal Subsidized Stafford Loan. They also sponsor the Federal Parent Loan for Undergraduate Students and the Federal Unsubsidized Stafford Loan, which are available regardless of financial need. Student loans are typically very low interest (anywhere between 2% and 8%), but even so, students often accumulate tens of thousands of dollars in debt and spend decades paying off loans. This is because college is so expensive in general. That is why you want to exhaust all the options described above before you apply for a loan. Despite the promise of debt, most students rely on loans for at least part of their college education. If you plan on getting student loans, make sure you have a long-term employment plan so you will have the means to begin repaying the loans after you graduate. When approaching college, many students only think of finances as an afterthought. But just like the rest of your college experience, you should have a long-term plan. If a more expensive college will lead to higher paying employment, such as doctors or lawyers, the investment may be worth it. If you can incorporate your college finances into a big-picture plan, you will not only know where you're gong in life, but how you'll pay for it. Applying for Federal Financial Aid can certainly be overwhelming, stressful, and confusing. With a little guidance, however, you'll find that the process is simpler than it may appear. Most of the stress of applying for financial aid comes from waiting until the last minute. It's an involved process, and if you don't give yourself enough time, it can be completely overwhelming. Do your research, find out the deadlines for any form you need to complete, and get started early. The deadline for the Federal FAFSA form is typically at the end of June for a given school year. In other words, the deadline for the 2019-2020 school year will be on June 30, 2020. Deadlines for aid from the state, however, usually come much earlier. If you are applying for aid from the state, you'll need to fill out forms in addition to your federal paperwork. Scholarships or other programs which are unique to your college or university will likely have their own unique deadlines. Many schools use the CSS Profile Form for private scholarships and aid. Double-check the deadlines for all the kinds of aid you're applying for. The federal deadlines can be found on the application deadline page of the Department of Education's website. There's a lot of paperwork involved in the financial aid application process, and it's crucial that you don't lose any of it. A great way to keep your papers organized is to buy an accordion-style file folder. Use this folder to store your completed FAFSA forms, loan agreements, personal financial documents, etc. Also, it's a really smart idea to print out every financial aid-related email you send or receive, as well as the online forms you fill out. That way, you'll have a hard copy in case your computer crashes, or in case you need to dispute any terms for any reason. Your file folder will be full of very sensitive information (Social Security number, tax returns, personal information, etc. ), and should be treated accordingly. Keep it in a very safe place. Doing otherwise is basically asking for your identity to get stolen. The Department of Education assigns each student a unique PIN number, which you must have in order to electronically "sign" your online FAFSA application. This PIN number is also necessary for accessing your account and information. Make sure you apply for this PIN far ahead of time. It may take only 1-3 days to receive your PIN number, but it may take a fair amount longer if the system is overloaded, or if your information isn't correctly filled out. If you wait until the last minute to apply for your PIN, you could very well miss the submission deadline. You'll use this PIN number throughout your entire college career, so keep it safe and never share it! You can create your FAFSA PIN number at https://studentaid.ed.gov/sa/fafsa/filling-out/fsaid. Many people find the FAFSA form to be quite confusing. This is largely due to the fact that the FAFSA form asks for information from your tax return, and if you're one of the many people who hire someone else to complete your tax return, this information may be unfamiliar to you. Before you begin filling out the form, go through a blank copy of the form and see if there are any fields, categories, or terms which you don't understand. If you do find some confusing parts, contact your tax preparer ahead of time for some clarification. Getting answers to all your questions may take some time, so it's important that you get started well before the deadline. Before starting to fill out the online form, make sure you have you've completed the most recent year's tax return. You'll need a lot of information from your return to complete the FAFSA form. You can monitor the status of your FAFSA form online, at the FAFSA website. You'll need to use your PIN number to check if your form has been processed. Processing time for a FAFSA form may range from 1-2 days up to 2 weeks. The status of your FAFSA form won't tell you what financial aid you're going to receive. However, it will tell you if you've completed the form correctly, and if it's been processed. Information about the aid you'll receive comes from the school you plan on attending. After your application is processed, contact the financial aid department of the school you're planning to attend (or the several schools you're considering). The people in this department will be able to tell you what your options are, in terms of financial aid. You may qualify for scholarships, grants, subsidized or unsubsidized loans, tuition waivers, and/or work-study. Be courteous and patient with the people in these offices, even if the process gets frustrating. It's a difficult job to divide up a school's limited financial aid funds, and being disrespectful to them certainly won't make the process easier for anyone. New students often think that once they've received financial aid, they're set for the rest of their time in college. This can be a costly mistake. The FAFSA form, as well as most state applications, must be completed every year in order to receive financial aid. For school-specific programs and scholarships, students usually need to re-apply or re-qualify in order to continue receiving the aid. If this all just seems like too much work, too confusing, or overwhelming, remember that there are professionals you can hire to help. Hiring a professional in no way guarantees that you'll receive the aid you're hoping for, but it can certainly ease the stress of the application process. Be careful, though: there are several financial aid scams out there. Do your research, and only hire a reputable professional. Explore popular topics, resources and articles about financial aid for college and university students.